March 21, 2019, Toronto, ON – A public art and landscape installation inspired by Terry Fox’s legacy has been selected as a new keystone of Toronto's waterfront. Led by Legacy Art Project Toronto (LAPT), the new work will be unveiled in Fall 2020 to help mark the 40th anniversary of Fox’s cross-Canada Marathon of Hope. Designed by Jon Sasaki and DTAH, We Are Shaped by the Obstacles We Face, draws waterfront visitors along a curving, landscaped path that is obscured by one-storey-high sculpted granite slabs. From the installation’s west end, they present as a single figure – the iconic silhouette of Fox, midstride. To support the installation’s construction, the Legacy Art Project invites the support of Canadians: donate, follow us and join us. The Legacy Art Project, working with the City of Toronto, will build a permanent public art and landscape installation inspired by Terry Fox’s legacy. The art and landscape design that was revealed in a juried public art competition will create a setting to inspire visitors, ignite passion, spark action and create impact. Legacy Art Project Toronto and its working group include diverse members of Toronto’s community from business and civic leaders to philanthropists, planners, architects and dedicated volunteers. To be part of Terry Fox’s Legacy you can help us by making a donation, following us or joining us to learn more at www.legacyartproject.com. Stay tuned here as we gear up to make the announcement of the Jury’s decision for final concept design and artistic team for the Legacy Art Project…inspired by Terry Fox. An open, national design competition, facilitated by seasoned art consultant Rebecca Carbin, Principal of Art + Public Unltd, was conducted in the fall of 2018. The jury, comprised of art and design luminaries, selected the finalist this Spring after receiving proposals from five Canadian artist and landscape architecture teams. The short-listed concept designs were unveiled in Toronto on January 29th, 2019 and our Jury made their selection in February. We will share the stunning final concept with the public on March 21st, 2019. We look forward to sharing this important milestone with you later this week. Much gratitude for joining us! We were humbled and thrilled for the turn-out for our unveiling event of the 5 shortlisted concept designs for the Legacy Art Project. Thank you, thank you, to all those that came out. A special thanks to the five artist teams who’ve continued to go above and beyond our imagination with their incredible vision for our project. Join us for the public viewing of The Legacy Art Project's shortlisted concepts for a public art and landscape installation inspired by Terry Fox. On Tuesday, January 29th, the citizen-powered Legacy Art Project (LAPT), a public art and landscape project inspired by Terry Fox on the Waterfront will unveil 5 design concepts for this new public space in Toronto. 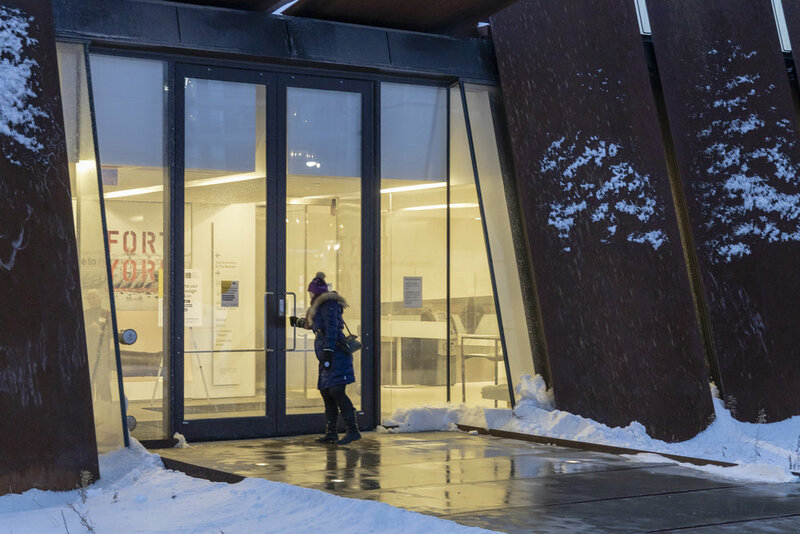 The volunteer Steering Committee will host an 'Open House' event to formally showcase the 5 final art expressions created by Jury-selected teams of eminent artists and landscape architects. This event brings the project one step closer to having a new permanent public art and landscape installation on Toronto’s Waterfront. From the final concepts being unveiled, the Jury will then select the winning artist-led design this February. This event brings us one step closer to a permanent home on the picturesque waterfront site located between the Toronto Music Garden and the Spadina wetlands. We’re thrilled that industry news Canadian Architect joins us in celebrating our shortlist of artist-led Canadian collaboration teams and our esteemed jury. Take a few minutes to check it out HERE. Thank you for our first major article since the announcement of our artist shortlist. The Toronto Star has a special place in our story as in 1980 the paper connected a young journalist, Leslie Scrivener, to Terry Fox when she was assigned to provide ongoing reports of the Marathon of Hope. Through the assignment Leslie formed a meaningful kinship with Terry Fox, and later wrote his biography. Some 38 years later, Leslie and co-lead Geri Berholz are championing the citizen-powered Legacy Art Project, a public space to inspire visitors, ignite passion, spark action and create impact by bringing life to Terry’s legacy of inspiration. This project will honour our past and look to the future. A great article to detail our intention and what to get excited about Toronto! November 14, 2018, Toronto, ON - The Legacy Art Project (LAPT) proudly announces a short list of five outstanding teams of artists and landscape architects, bringing Toronto one step closer to having a new permanent public art and landscape installation inspired by Terry Fox on Toronto’s Waterfront. This impressive list of Canadian artists has been chosen to create an art expression, including a beautiful public gathering place, that will reflect the values of innovation, perseverance, courage, community engagement and hope which Terry Fox exemplified. The five finalist teams were selected by the Legacy Art Project Jury from a long list of 40 “Expressions of Interest” submissions, led by seasoned Art Consultant and art expert Rebecca Carbin, Principal of Art + Public Unltd. Brenda Webster, Senior Associate, Urban Design, Urban Places Stantec. The five final creations will be revealed to the public in January 2019. The Jury will then determine the winning artist-led design that will find its home on the picturesque waterfront site located between the Music Garden and the Spadina wetlands. Vancouver born artist Kenneth Lum with Space2Place. The Legacy Art Project, working with the City of Toronto, will build a permanent public art and landscape installation inspired by Terry Fox’s legacy. The art and landscape design that will be revealed in a juried public art competition will create a setting to inspire visitors, ignite passion, spark action and create impact. Legacy Art Project Toronto and its working group include diverse members of Toronto’s community from business and civic leaders to philanthropists, planners, architects and dedicated volunteers. The Benefits of Gifting Securities: Join LAPT today! Consider joining our citizen-funded initiative to honour Terry’s inspirational legacy permanently on Toronto’s waterfront. Gifting securities is a cost-effective way to make a donation with a substantial tax incentive. By donating securities, donors pay no tax on capital gains, receive a tax receipt for the fair market value of the securities, and reduce their taxes. The completion of a simple form is all it takes to make an electronic gift of securities to the Toronto Foundation. Explore this idea at our Fund page at the Toronto Foundation HERE. Call To Artists! Join us in making history! Legacy Art Project Toronto is inviting Canadian artists to submit an expression of interest for a permanent public art commission in a landmark location on Toronto’s Waterfront. The Legacy Art Project Toronto...Inspired by Terry Fox is a public art concept that is realized as a fully integrated, art-led landscape. It will become a gathering place which embraces the key concepts of innovation, perseverance, community engagement, interactivity and hope, which Terry Fox exemplified. In July 2018, Toronto City Council approved allocation of the downtown waterfront site located between the Music Garden and the Spadina Wetlands for Legacy Art Project Toronto...Inspired by Terry Fox. The footprint of this art-led landscape commission will occupy approximately 1/3-1/2 of the available open green space on the identified waterfront site (~1440m2 - 2160m2) and will be synergistic with the existing landscapes on either side of the site, becoming part of a neighbourhood with numerous existing public artworks. Please see the full call to artists on Akimbo. "Anything is possible if you try"